Most reclaimed lumber companies find their inspiration in old barns and schoolhouses. Our story was born in 2004 down at the shipyard, with a lot of grit and a couple of friends’ idea to rescue some really amazing wood from winding up in a landfill. Wood from far off ports arrives daily as shipping pallets and crates, but it’s extremely difficult to recycle. Through years of trial and error we pioneered a method for up-cycling these dockside discards into products with lasting value. Since then we have expanded to new sources with the same goals of post-industrial reclamation and conservation. True to our roots, we are committed to finding the best use for every stick of wood we reclaim to reduce demand for new lumber. 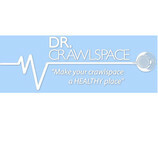 We are locally owned and operated in Portland, Oregon. 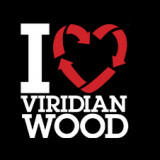 At Viridian sustainability is not merely an ideal to work towards; conserving our natural resources is the very foundation we grew from. It is fundamental to our culture and affects everything we do. We are proud that our work has been internationally recognized to help preserve the world’s remaining forests and combat climate change. 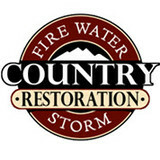 Country Restoration is a full-service damage restoration company serving the SW Washington and Portland Metro Area. When it comes to finding a reliable HVAC service provider in Salem Oregon contact Woodward Heating. Furnace installation, Ductless heat pump installation, Gas furnace repair, Air conditioner maintenance are some of the services we offer here. Locally owned and operated. 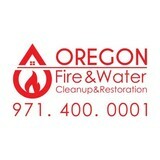 All of our technicians are licensed in the State of Oregon & Washington. Don't waste your money on products that don't work. 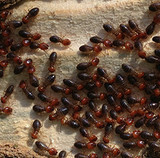 Get it done right the first time, get PDX Pest. Hepa Air Scrubber Rentals of Portland OR & Red Sky Rentals provide comprehensive equipment rental solutions for all of your immediate disaster, water damage and fire restoration needs nationwide. Our portable air scrubbers are ideal for homeowners and contractors dealing with the effects of fire, smoke or water damage. We can quickly provide the disaster cleanup and remediation equipment you need. Started in 2013 with a Mitsubishi SUV, a pair of Felco pruners and a dream of bringing native habitats back to neighborhood yards. Nathaniel Goodluck-Johnson, Native Gardener's owner, set out on a path to change how people looked at yards and share these private spaces with native birds, animals and insects. Through the past few years we have grown into the company to call when it comes to lawn conversion from an ordinary plot of grass into a thriving environment composed of native plantings, property evolution and free of invasive species. Feel free to call and chat, email or wear our gear to promote native plants, animals and collaborate in this native creation. VIsit <a rel="nofollow" target="_blank" href="http://www.HepaAirScrubber.com">http://www.HepaAirScrubber.com</a> or call 800-391-3037 for lowest price and cost forVancouver WA Air Scrubber Rentals today! Red Sky Rentals provides comprehensive equipment rental solutions for all of your immediate disaster, water damage and fire restoration needs nationwide. Our portable air scrubbers are ideal for homeowners and contractors dealing with the effects of fire, smoke or water damage. We can quickly provide the disaster cleanup and remediation equipment you need. Chosen Wood Window Maintenance is a premier full-service wood window restoration contractor. For a fraction of the cost of window replacement, we can repair and update your wood windows. Our company offers a variety of services such as glass replacement, wood damage repair, dry rot repair, inoperable sashes repair, glazing, energy solutions, historical preservation and more. We work with customers throughout the Northwest. Bridgeport Distribution Inc offer full service distribution and transportation services throughout the Portland, Oregon United States. Bridgeport Distribution provide exclusive warehouse, Washington warehousing, Portland storage warehouse, west coast distribution, third party warehouse, contract warehousing,cross dock, Portland distribution, distribution transportation, western beverage distribution and food distribution, assuring top quality service to you and your customers. Find environmental services and restoration professionals on Houzz. Narrow your search in the Professionals section to Portland, OR residential environmental testing and home disaster restoration services to find a list of qualified professionals. Read through professional profiles for information on qualifications, experience and services provided.